There are many reasons why the aluminum extrusion industry has grown by leaps and bounds in recent years. The benefits of extruded aluminum have far exceeded expectations and proven to be an extreme advantage across many different industries. Aluminum extrusion solutions are now used in many unique ways, even helping to reduce fuel consumption in consumer and commercial vehicles. To increase the benefits of aluminum products, it is essential to have at least a basic understanding of the properties associated with this versatile metal. The more you learn about aluminum, what it can do and how it can be used, the easier it will be to apply it best to suit your needs and the demands of your industry. One of the popular reasons to choose aluminum is that it is very plentiful. Scientists estimate that aluminum is the third most abundant element on earth, following oxygen and silicon. 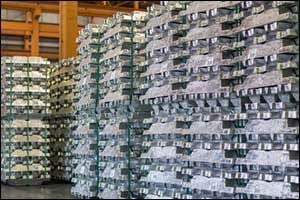 First extracted in 1825, aluminum was originally the most expensive metal in the world due to the inability to properly produce it in its metallic form. Once it was discovered that aluminum could be made cheaply from bauxite, it became more affordable and was more commonly used. As it is a non-toxic material, aluminum was used early on to make cutlery for fine dining, as it was initially seen as more valuable than gold. Today aluminum is exceptionally affordable, as it is 100 percent recyclable and does not lose any of its inherent properties in the recycling process. Recycling aluminum to use within the aluminum extrusion industry only requires five percent of the energy that is needed to make primary or raw aluminum. Studies reveal that approximately 75 percent of all aluminum produced is still in use and a large majority of aluminum consumer goods, such as aluminum drink and food product cans, are recycled and can be made into new products within just a few weeks. This helps aluminum to stand strong in a world where recycling, sustainability, and environmentally friendly products are in high demand. Aluminum extrusion solutions are used across many industries, including consumer goods, construction, transportation, aerospace, marine, and military/defense. Extruded aluminum products can benefit from the natural properties of this miraculous metal, including being non-toxic, non-magnetic, and resistant to rust and corrosion. Oxidation creates a thin and protective layer on the surface of the aluminum that prevents rust and other types of corrosion from affecting the metal. The benefits of aluminum products make it the perfect choice for scanning devices and electronics to prevent magnetic field interference. Aluminum is also very light due to its low density but can be made very strong and durable through the extrusion process and use of specific alloys. This makes aluminum an excellent choice for the transportation and marine industries, which are looking to reduce fuel consumption while providing strength, durability, and safety. Weight savings can be achieved between 33-40 percent compared to steel in many applications. When compared to other popular metals, such as steel or copper, aluminum continues to come out on top. Aluminum can absorb energy much more significantly than steel, which makes it the perfect choice for safety products, including bullet-proofing, burglar-resistant systems, fire resistance, and blast-proof equipment. When compared to copper, which has a higher density and is much more costly, aluminum can be used in electric vehicles to save cost, decrease weight, and improve efficiency. There are many automotive manufacturers that are now using extruded aluminum in their design to help meet new efficiency standards, including the revolutionary Ford F-150. Engineers are learning how to take advantage of the benefits of aluminum products and use them to enhance performance and create better quality results. At Silver City Aluminum, we specialize in the design and engineering of custom extruded aluminum. Our team of highly trained designers and engineers can help you during the initial design phase to create a profile that will help you to take advantage of all the benefits of aluminum products. We work with many different industries to develop commercial, construction, marine, industrial, and consumer grade products that can be used to raise the bar and increase value for everyone involved. Visit our website to see additional engineering information or to learn about all of the value-added services that we provide to our customers. Learn about the mechanical properties of our 6000-series aluminum alloys and read up on tips to avoid surface defects, design screw slots, and create snap-fit joints through the use of aluminum extrusion solutions. Give us a call at 508-824-8631 to speak with one of our technicians or engineers about your needs for extruded aluminum. We are proud of the quality services that we provide and work hard to go the extra mile to ensure quality control every step of the process. From the initial design all the way through extrusion, fabrication, secondary operations, finishing solutions, and shipping, you can trust Silver City Aluminum to meet or exceed your expectations when it comes to providing aluminum extrusion solutions.